Four unpublished Solar Pons stories by Basil Copper in a special edition illustrated by Stefanie Kate Hawks. Four new adventures of "the Sherlock Holmes of Praed Street"
Solar Pons was created nearly seventy years ago by August Derleth who patterened his sleuth closely after Doyle's greta detective. Sixty-eight tales, including one novel, were written by Derleth over a period of some forty years. But Mr. Pons' already impressive career did not ene with the death of his creator. The series passed to the capable hands of the British author Basil Copper. 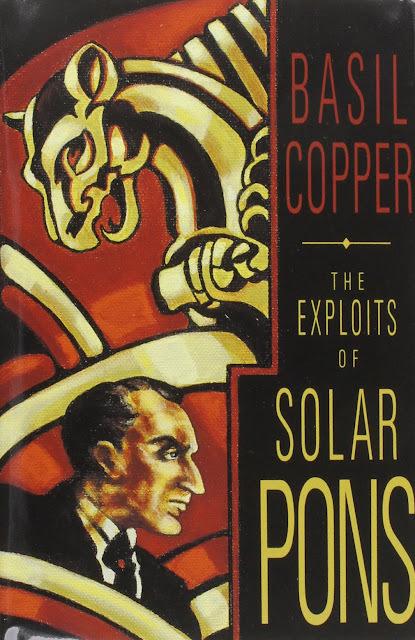 While several collections of Mr. Copper's Pons stories have already appeared in paperback editions, this is the first publication of the stories contained herein.